Gabrielle Union happily strikes a pose while attending a special screening of the Barry Jenkins film If Beale Street Could Talk held at The London Hotel on Tuesday (January 08) in West Hollywood, Calif. 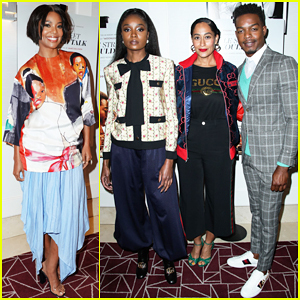 The 46-year-old actress and Tracee Ellis Ross stepped out in style to support the film’s leading stars, KiKi Layne and Stephan James. 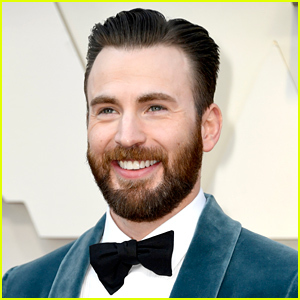 Also in attendance to show their support was Debby Ryan, Thomas Dekker, Waco‘s Andrea Riseborough, Wynonna Earp‘s Shamier Anderson, Frankie Drake Mysteries‘ Chantel Riley, and Ballers star Eli Goree. Barry was just nominated for Best Adapted Screenplay for the film at the 2019 British Academy Film Awards. FYI: Gabrielle is wearing Pyer Moss. 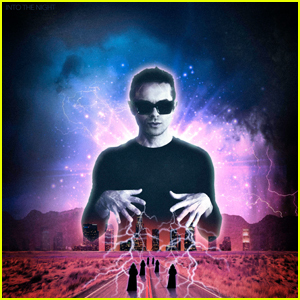 Thomas Dekker just dropped his new music video AND album! 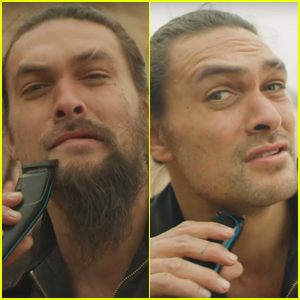 The 30-year-old musician released the music video for his single “Reaper” which is featured on his new album Into the Night. The “Reaper” video stars Garrett Clayton, Louis Hunter, Nick Eversman, Steven Asbury, Roxane Mesquida, Ana Mulvoy-Ten, Tasie Lawrence, Leah Gibson and Bella Dayne. Into The Night is Thomas’ third studio album and is a journey into mystery, magic, desire and all things that live in the shadows. You can download Thomas‘ new album Into the Night off of iTunes here. Watch the “Reaper” music video & stream the album below! 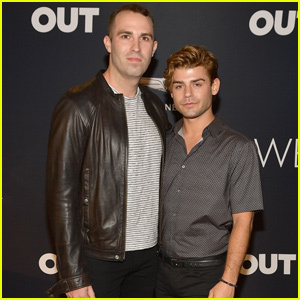 Garrett Clayton Makes Red Carpet Debut With Partner Blake Knight! Garrett Clayton and boyfriend Blake Knight just made their red carpet debut! The super cute couple stepped out for OUT Magazine’s Power 50 Award & Celebration presented by Genesis at NeueHouse Los Angeles on Thursday night (September 27) in Hollywood. “👯‍♂️@outmagazine #Power50 last night with my love @hrhblakeknight. 👬,” Garrett wrote on his Instagram. The couple were also joined at the event by Kevin McHale, Breeda Wool, Keiynan Lonsdale, and Thomas Dekker. Other attendees included songwriter Justin Tranter, who received the Power of Authenticity award and Tyler Oakley, who was given Power of Originality! Troye Sivan poses for a photo with boyfriend Jacob Bixenman at the Cinespia screening of Alien, presented by Amazon Studios, held at Hollywood Forever Cemetery on Saturday (June 16) in Los Angeles. 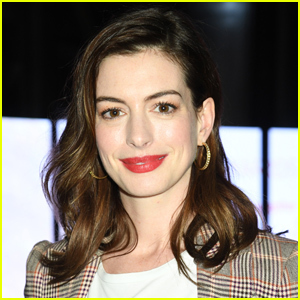 The 23-year-old “Bloom” singer was joined by Silicon Valley co-stars Thomas Middleditch and Martin Starr, who appeared to be on a double date and even cuddled together in a photo. Check it out in the gallery below. Also in attendance were Rowan Blanchard, Hari Nef, Barbara Alyn Woods, and Thomas Dekker with husband Jesse Haddock. “SOOOO excited to be at Cinespia, Hollywood Forever Cemetery to see ALIEN for the 3,000th time. #cinespia @cinespia,” Thomas Dekker shared on Instagram. Stranger Things' Joe Keery Transforms Into Harry Potter at Just Jared Halloween Party! 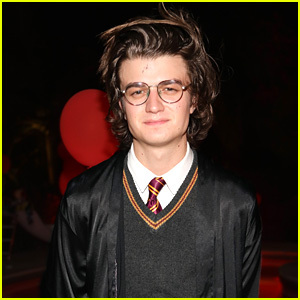 Joe Keery dresses up as “The Boy Who Lived,” Harry Potter, while attending the 2017 Just Jared Halloween Party on Friday (October 27) at a private residence in Beverly Hills, Calif. The 25-year-old actor stars in Stranger Things and celebrated the launch of season two at the event! Harry Potter had some competition at the party… Luke Baines was dressed as his nemesis Voldemort! He attended with his Truth or Dare co-star Cassie Scerbo. Other stars who stopped by the event included Thomas Dekker and Clark Duke, who wore a Mario costume.